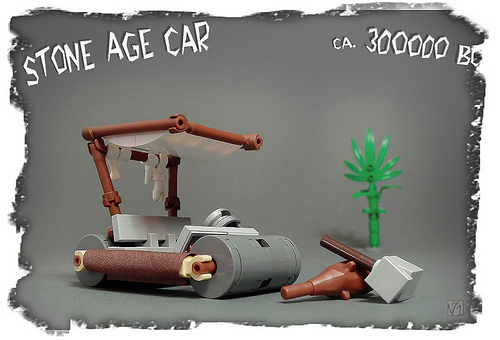 Yabba Dabba Doo – this car’s for you! Some cars are just iconic. Karwik, who is better know for his incredibly detailed trucks, turns back the clock with this rendition of first production car – which I believe predates Ford’s Model T by roughly 300,000 years. It really captures The Flintstone’s spirit. And so small, too…. amazing.